I'm so excited so many of you decided to join my Pinterest group boards I talked about yesterday! I'm still adding new pinners, so if you are interested in joining.. just let me know. 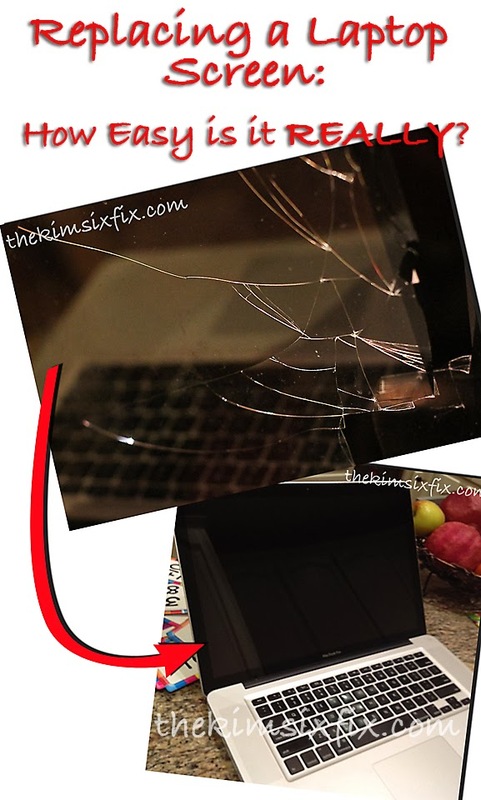 Now, onto a tutorial that I wasn't going to post, but after a few people mentioned that they would like to know how easy it really was to replace a cracked laptop screen I thought I would give you a little run down of how it went for me. I want to premise this by saying I AM IN NO WAY a professional computer repair person. 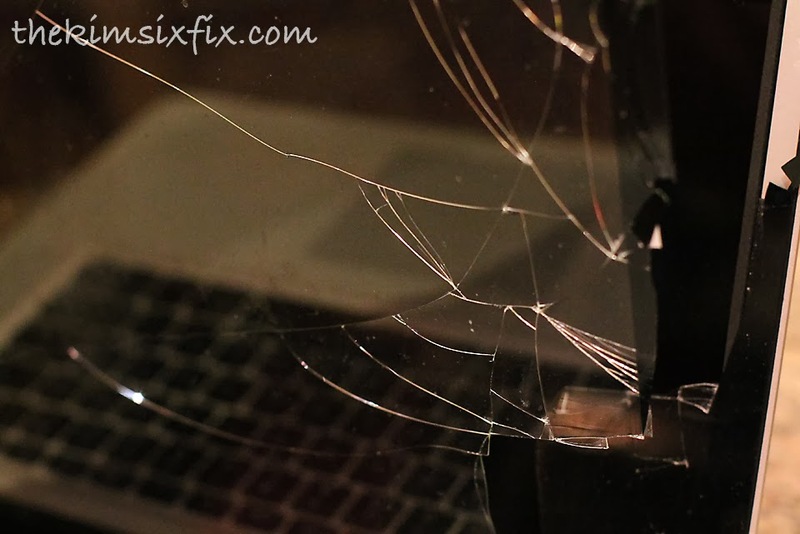 And it is highly likely that self-replacing your laptop screen will void the warranty. If you attempt this and something goes wrong, I am not responsible. This is just my personal experience. 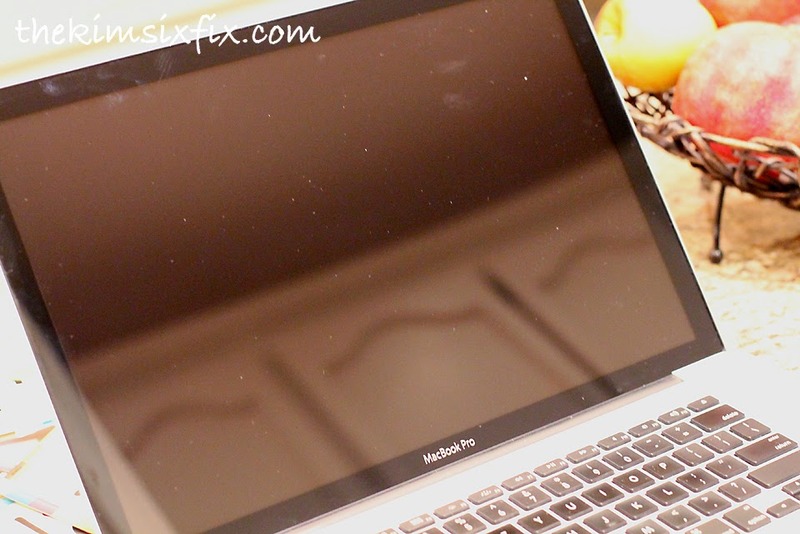 I happen to have a 2012 15 inch MacBook Pro (not a retina display), so I took it to the genius bar to find out how much it would be to replace the cracked cover glass. 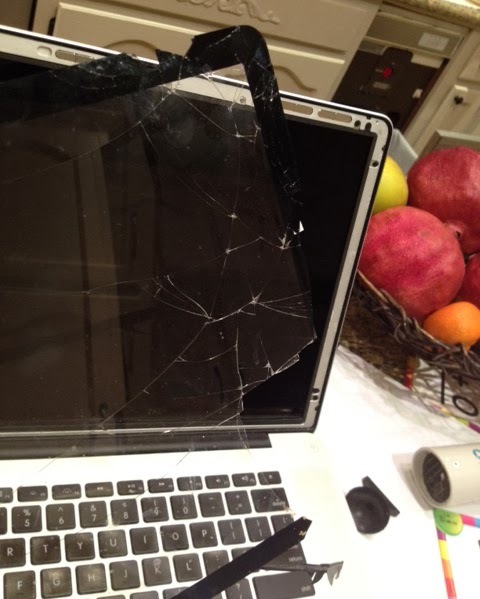 The LED screen was fine, it was only the glass on the surface that was cracked. Well, imagine my shock and dismay when they told me it would be $800. YES.. that is NOT a type-o. EIGHT HUNDRED DOLLARS!!! After I picked my jaw off the floor and questioned what type of crack the salesman was smoking, I was informed that the reason it is so expensive is that Apple doesn't replace just the glass. 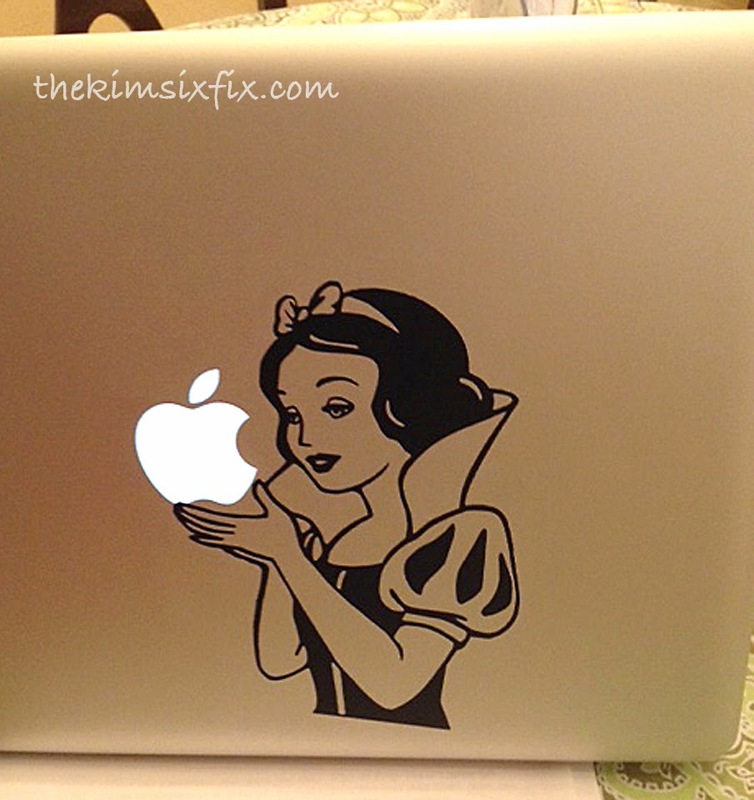 It replaces the entire top half of your laptop. But I didn't need a new top half of a laptop. I only needed a sheet of glass. So of course I turned to Google to figure out my options. 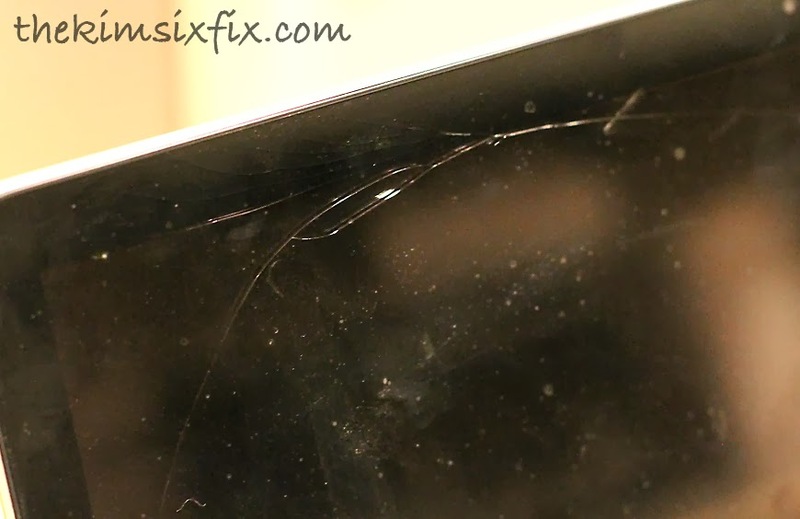 It came down to this: I could pay the $800, I could use an unauthorized repair shop, or I could DIY it. Well.. OF COURSE I picked the DIY route. Duh. Don't you know me?! The first thing I needed to do was order a new screen. You have to be pretty specific when you are ordering replacement glass. There are a lot of versions on the market, and you want to make sure you are using a "Certified Apple Replacement Part." That will give you real glass. The knock off verions actually use plexiglass and will be slightly cloudy. Specifically I ordered this replacement glass from Amazon. (They also have a 13 inch version here.) I was super impressed with the part honestly. For $25 (vs. $800) I was suprised how well it was packaged and the fact it was an Amazon Prime item meant I got it in two days with free shipping. The tutorial is for the 13 inch screen, but the idea is the same. So, did it work just like the movie?!? First I heated it up with a hairdryer since I didn't have a heat gun. I probably was too antsy for this step and could have left the heat on longer to soften the glue more. You could definitely tell the difference between the well heated and not well heated areas. Patience is key. Another tip: Don't use cards you want back. The adhesive, especially when warm is EXTREMELY sticky. 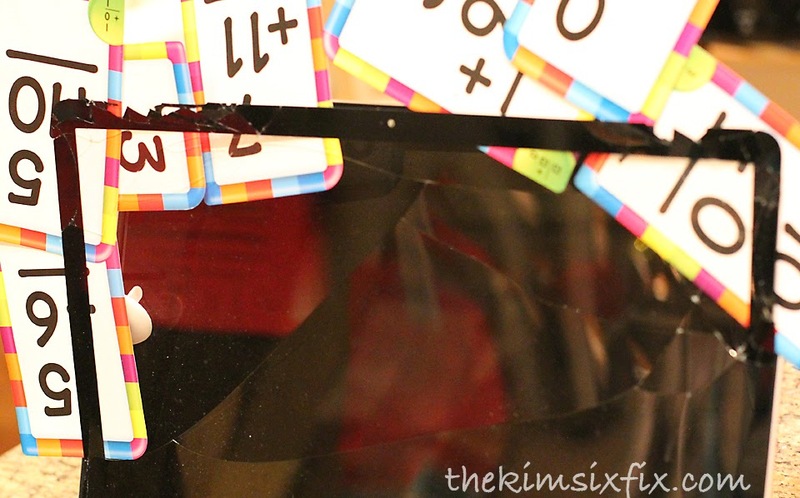 When i was done, the cards wouldn't come off of the screen without tearing. Since it wasn't clear on any of the tutorials I read/watched, let me explain how the "glue" was placed. Everywhere you see the black band around the edge of the screen (expect by the camera in the top center) is coated with, what is basically, a thin layer of black double stick tape. 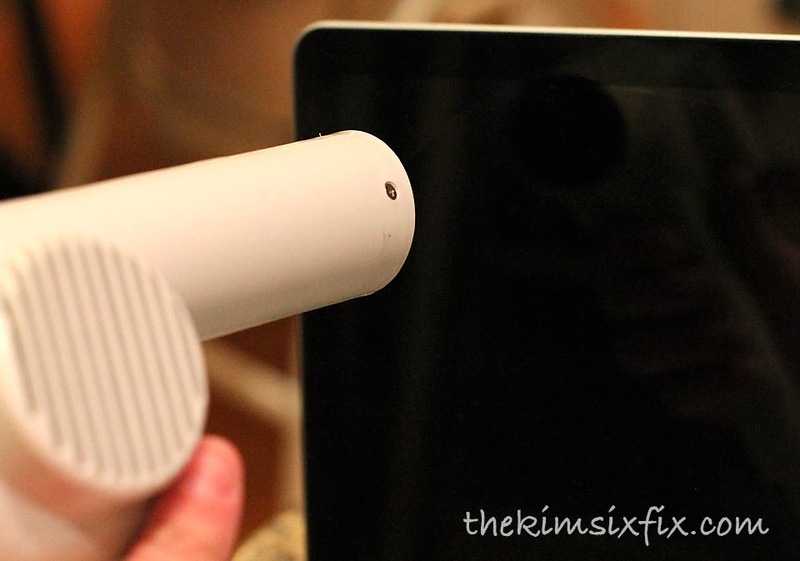 You want to make sure you are getting under it when you start popping the screen off. 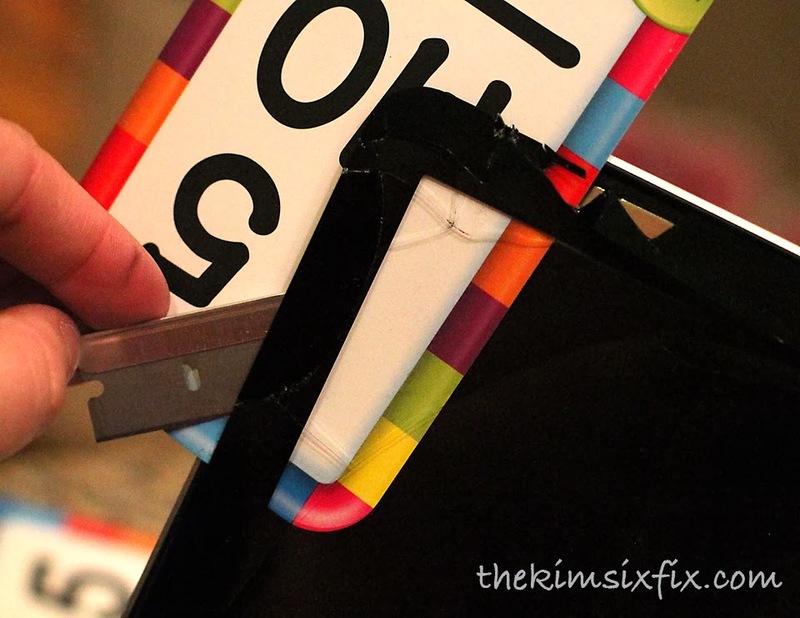 It is possible to tear the tape off the glass and then you are left with a sticky mess on your screen body. You don't want that! Eventually, I got cards inserted all around the top three edges and was only left with the screen being attached at the bottom. 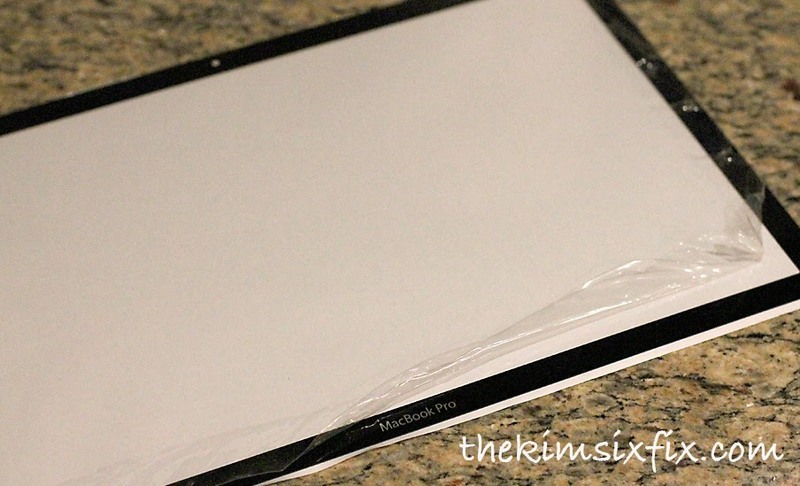 Nothing else is holding it in except the glue/tape so you can heat it up and pull the screen out. Granted, I wasn't trying too hard to keep it from cracking, but it certainly didn't look like the perfect piece of glass they showed in the movie. Next up.. the replacement screen: I removed the plastic scratch guard only from the edges (I thought it would be hard to peel up once it was installed. To install it I peeled off the white backer and set it in place, bottom first, and then just pressed it into place. It really couldn't be easier. I did go back and used the hairdryer to heat the glue a little bit and smooshed it in better (I have read things about replacement glass popping out) but I am not sure that is necessary. So how hard was it really? On a scale of 1-10 with 1 being "my toddler could do it" with 10 being "brain surgery" I would give it a 3. If I had to replace the LED screen too I think it would be challenging my skill set, but this wasn't bad at all. So what did I do to celebrate my success? Well, I decorated the other side of the screen of course! Since now that she is fixed, I think I'll keep her! Thank you so much for this post! I will not be in the market to buy or sell any time soon, but I believe this one post has plenty of handy tips I can use in the future. Oh wow! My heart jumped in my mouth when I heard you were quoted $800 to repair it! I'm so impressed that you managed to DIY and save so much money! This is such a helpful post! Good for you, Kim! 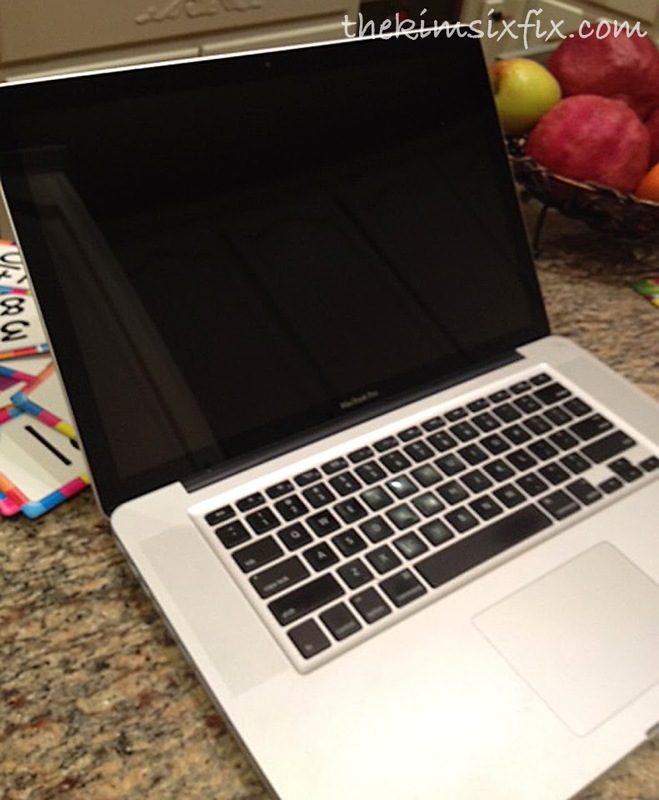 My hubby just replaced the heat sync fan in our laptop. Thank God for You Tube!! You and me both.. That is INSANE! !